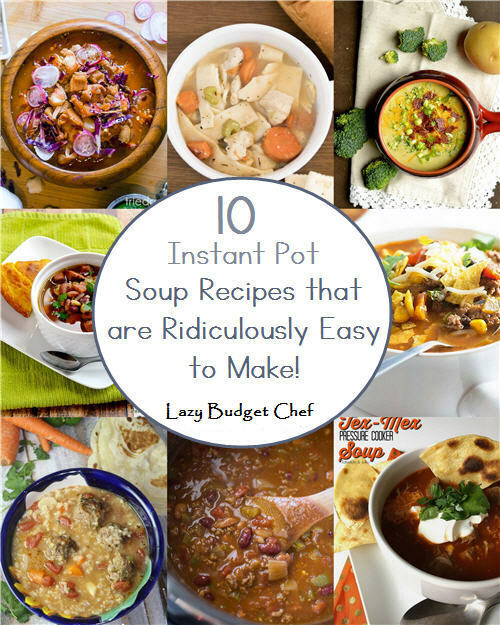 Lazy Budget Chef: 10 Quick, Easy, and Delicious Instant Pot Soup Recipes You Have to Try! We’ve been making lots of 30 minute Instant Pot soup recipes for dinner. Mostly because we’ve been sick (Husband and I always share plague with each other – how romantic?) but we also really enjoy a warm bowl of a hearty stew during the winter. Yum! 5. Beef Taco Tortilla Soup – tbsp. 10. Instant Pot Tomato Soup – A Perfect Starter Recipe – Honest and Truly!